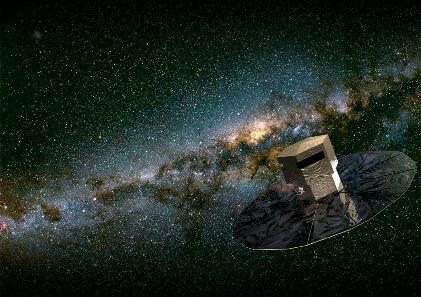 Gaia is an ambitious mission to chart a three-dimensional map of our Galaxy, the Milky Way, in the process revealing the composition, formation and evolution of the Galaxy. Gaia will provide unprecedented positional and radial velocity measurements with the accuracies needed to produce a stereoscopic and kinematic census of about one billion stars in our Galaxy and throughout the Local Group. This amounts to about 1 per cent of the Galactic stellar population. Combined with astrophysical information for each star, provided by on-board photometric instruments, these data will have the precision necessary to quantify the early formation, and subsequent dynamical, chemical and star formation evolution of the Milky Way. Additional scientific products include detection and orbital classification of tens of thousands of extra-solar planetary systems, a comprehensive survey of objects ranging from huge numbers of minor bodies in our Solar System, through galaxies in the nearby Universe, to some 500,000 distant quasars. It will also provide a number of stringent new tests of general relativity and cosmology. Building on our experience in processing the data from the Hipparcos mission, the main involvement of the CASU group in the Gaia project is with the photometric data processing. CASU are the largest group contributing to this task - CU5 (Photometric Processing). We also provide expertise to the tasks of attitude reconstruction and variable star analysis.